Laura Ratcliffe was born May 28, 1836 in Fairfax City, Virginia. Her father was Francis Fitzhugh Ratcliffe and her mother was Ann McCarty Lee. Following the death of her father, Laura moved with her mother and two sisters to the Frying Pan area in Fairfax County, Virginia. During the War Between the States, Laura met General James Ewell Brown (Jeb) Stuart when she and her sister were nursing wounded Confederate soldiers at his camp during the winter of 1861 & 1862. Laura and Stuart quickly became friends and General Stuart wrote her several personal letters expressing his friendship. In late December of 1862, General Stuart led his cavalry on a raid against Federal forces camped at Burke Station, in Fairfax County, destroying the rails and capturing a telegrapher. This raid became widely known as the Christmas Raid. While at Burke Station Stuart contacted Montgomery Meigs, the Union Quartermaster complaining of the quality of the mules he had just captured there. After leaving Burke Station Stuart visited Laura at her home before departing for Loudoun County. According to several sources, while at the Ratcliffe's, Stuart decided then and there that he was going to let John Singleton Mosby have a small detachment of men to conduct independent guerilla operations in the Northern Virginia area, instead of going into winter quarters with Stuart. When Stuart left Hamiliton Rogers house (Oakham), in Loudoun County, on December 30, 1862, Mosby stayed behind with nine men from the 1st Virginia Cavalry. This large boulder, located just south of here, served as an important landmark during the Civil War, when Col. John S. Mosby's Partisan Rangers (43rd Battalion, Virginia Cavalry) assembled there to raid Union outposts, communications, and supply lines. 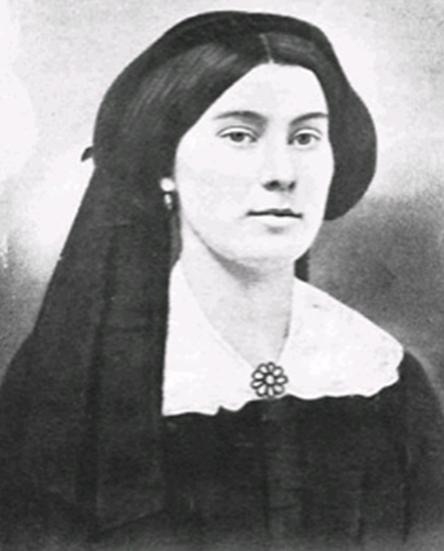 Laura Ratcliffe, a young woman who lived nearby and spied for Mosby, concealed money and messages for him under the rock. Mosby credited her with saving him from certain capture by Federal cavalry on one occasion. She also was a friend of Maj. Gen. J.E.B. Stuart. Frying Pan Church, near Laura's home, was the site of various Mosby skirmishes, as well as a hospital, and was one of Mosby's secret rendezvous places for his men. Mosby would raid and visit this area periodically during the entire war. On February 11, 1863, Mosby traveled to Herndon on a combat raid, unaware of a Yankee plot to trap him near Frying Pan. Luckily for Mosby Laura warned him that the Yankees had set a trap near Frying Pan, thus saving his life. Mosby avoided the ambush, and in the process, captured a Union sutler's wagon near the Herndon Train Station. Captain Willard Glazer, Second New York Cavalry described Laura as, "a very active and cunning rebel, who is known to our men, and is at least suspected of assisting Mosby not a little in his movements." Glazer further noted "by the means of Miss Ratcliffe and her rebellious sisterhood, Mosby is generally informed." Although it was obvious that Laura's home was the center of much Confederate activity and intelligence gathering, she was never arrested nor charged with any crime. Her brother, John Ratcliffe, a private in the Seventeenth Virginia Infantry died of disease at Chimborazo Hospital in Richmond in October 1864, at the age of 31. He was buried at Oakwood Cemetery, in Richmond and remains there to this day. The home Laura lived in during the Civil War was destroyed in the mid 1990's, but an old farmhouse renamed "Merrybrook" was her home after the war, and was added on to by Milton Hanna, a Union man whom she married on December 4, 1890, when Laura was fifty-four years old. Laura died August 8, 1923 at Merrybrook. She was buried at the Ratcliffe/Coleman/Hanna cemetery in Herndon, which is now surrounded and hidden by thick shrubs and trees.